I often write a food for faith reflection on the scriptures of the day after I reflect on the scriptures in the early morning. I hadn’t intended to write today, but a thought from today’s first reading (Paul’s exhortation to the leaders of the church of Ephesus) has stayed with me through the day with a positive effect. Paul tells his hearers that even when he was setting them on the right road with admonishment he was doing so with tears of love for them. A little later in the same reading as Paul prepares to depart, the entire community are in tears and weeping loudly. 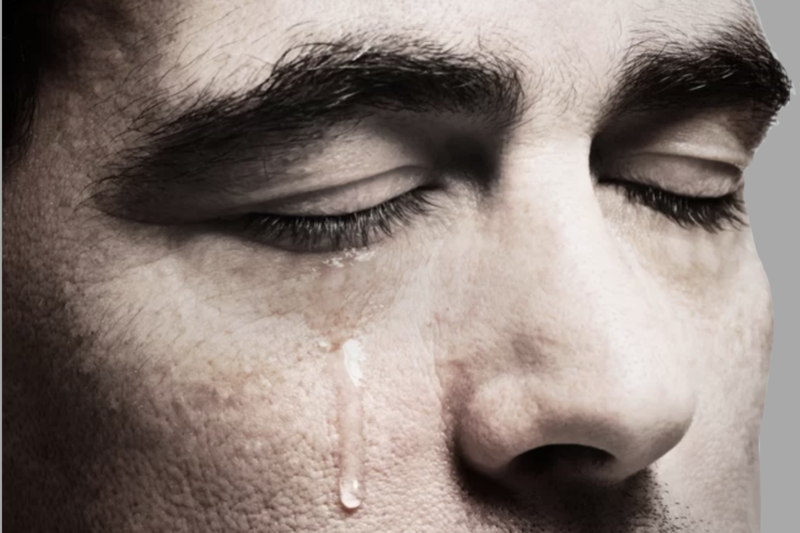 In too many cultures tears, especially in an adult male, are considered to be a sign of weakness. Boys are trained to not cry and repression of tears is wrongly seen as a sign of maturity. Tears are a sign of the vibrancy of our inner life and are therefore not a weakness but a strength. Ignatius of Loyola considered tears to be a gift. He doesn’t mean uncontrolled attention-seeking wailing. Instead he is speaking about the tears that are the expression of the life of the heart. Remember that in the scriptures the word “heart” is used often to mean “soul”: “take from us our hearts of stone and give us hearts of flesh” Ez 11:19, and “did not our hearts burn within us as he spoke to us on the road” Luke 24:32. In both of these well-known passages the heart means the soul. The tears that Paul and Ignatius are speaking of well up from their hearts without warning. Tears are therefore an honest communication from our subconscious and we are wise to notice and savour this gift. A mature person is not afraid of this gift of tears. Sometimes sorrow overwhelms us and we shed tears of grief or pain. At other times a beautiful moment, memory or encounter moves us to tears. Such tears are rarely predictable or controllable. They come as a gift, helping us to be aware of what is happening at our deepest level. The person who is moved to tears, and appreciates this movement, is a healthy person. When such tears come we are wise to be still and silent gently allowing the moment, the feeling, the tears to remain. “Be human, live the truth of your humanity. Your humanity is not that which you do now; it is what God did in making you to be born in the womb of your mother, when you were little . . . and so now become once again little and simple, and cry because you need to cry, it’s natural to cry, or be afraid because the problem is difficult and you feel the disproportion of your own effort. Be human, live your humanity as an aspiration, as a sensibility to problems, as a risk to confront, as a faithfulness to the urges in your soul, to those urges that God created in your soul from its very origin; and in this way according to your appeal — reality will present itself to your eyes in a new way. Live today with a hypersensitivity to whatever in your heart has the ability to move you to tears, perhaps joy, perhaps sadness, maybe anxiety or beauty. If tears come, let these be your prayer. 2 Responses to "the gift of tears"
Children know the taste of tears, and they know they feel good after crying. In childhood we take the first steps to awareness that tears are rain for the garden of the soul. My grandson was told by his father to “toughen up” after crying when he hurt himself. I have copied “the gift of tears” for him to read knowing that tears are not a sign of weakness but didn’t know how to really explain this to him. This explanation is perfect and will inspire him to be strong when his tears fall. Thank you for this lovely clarification.